The world of event planning is changing before our very eyes, and opening entirely new opportunities to organize, promote and market a specific occasion or branded experience. Thanks to the advancement of mobile technology and the benefits that this brings to real time interaction, events organizers and strategists can now tap into a global market and reach a size of audience that would have been unthinkable prior to the last decade. 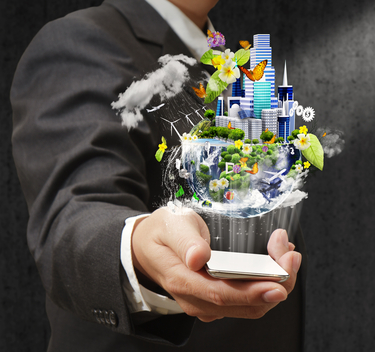 Breaking Technological Trends: Which can help today’s Event Planners? Given the thousands of technological innovations that influence the market every single year, it can be hard to distinguish the very best online tools available to event planners. However, the following 3 are set be especially influential during the coming year and beyond, and could help to revolutionize the every single aspect of planning and managing a live event. The Use of QR Codes: While you may have heard the name, not all of you with understand exactly what QR codes and how they operate. A QR code is ostensibly a 2 dimensional bar code that can be read by numerous Smartphone devices, and it can be used to link directly to a website, email address or physical location. They can be generated quickly and easily by businesses, and even branded to ensure that they stand out from the crowd. 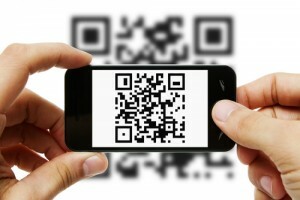 In terms of event planning, a QR code can serve 2 purposes. Not only can they be used to promote an event or the affiliated website, but they also have the potential to provide directions to the physical location where it will take place. It should therefore be considered as both a marketing and organizational tool, and one which could save businesses thousands of pounds over time. Social Media and Planning: Businesses and nonprofits are only just tapping into the vast potential that surrounds social media as an organizational tool, but it is set to become ever more influential during 2012. There is no other tool that instantly connects event planners with an expectant audience of thousands, with resources such as Twitter especially useful for offering real time updates and data. The second benefit of social media as an audio visual event planning tool is its facility to generate social conversation, and therefore create a genuine interest and buzz around an event. In effect, this allows a great deal of your marketing drive to be conducted for free, while also empowering the crowd to play a significant part simply by sharing their thoughts and opinions. As a single entity, the mobile app industry is worth billions globally, and also provides a unique opportunity for events planners to create a mobile version of their event and its details. A well designed and succinctly worded app can reach millions, and allow interested parties to access it through their Smartphone, iPad, iPhone or other mobile tablet. This is perhaps the quickest single way to reach fans in 2012, and mobile apps have the potential to make an event or cause viral within a matter of hours. By branding it and adding individual design aspects, event planners can market their logo and specific purpose simultaneously, with a view to sharing their message across a global community. About the Author: Written by Michael Chidzey from Chillisauce. Inspired by the Chillisauce conference planning section of their website.